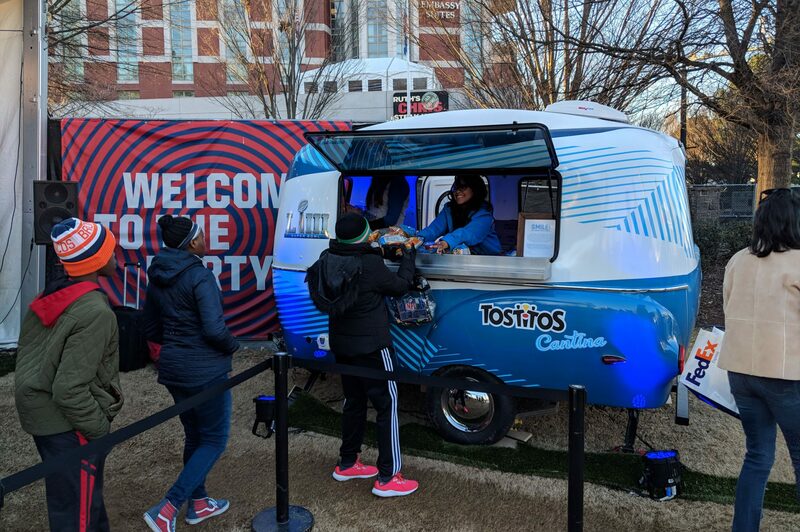 For the 53th edition of the Super Bowl Frito Lay, the Official Chip & Dip of the Super Bowl, organized The Tostitos Cantina Super Bowl LIII Brand Activation located at the Super Bowl Live 2019 in Centennial Park, Atlanta. 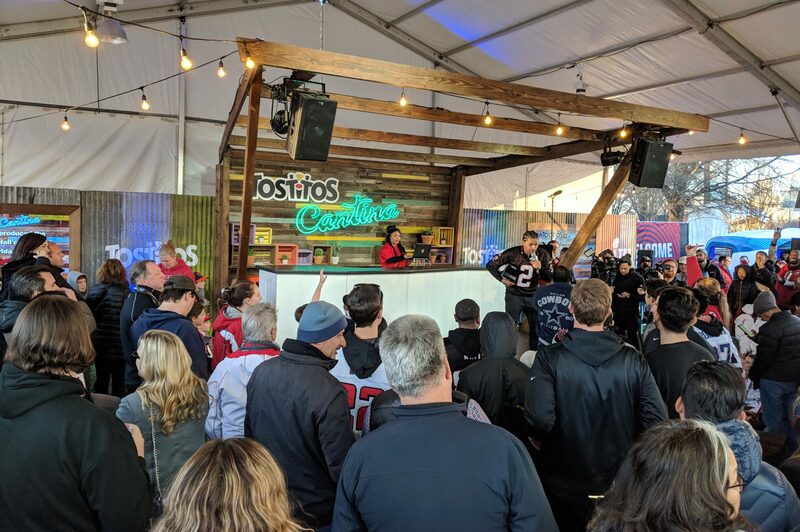 The event was a great success, providing free samples and marketing exposure to thousands of NFL fans from every team. 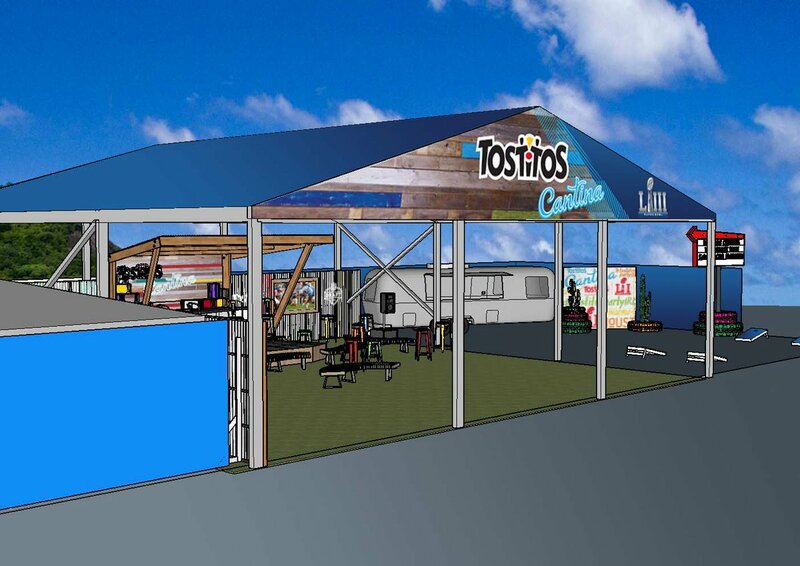 The activation provided a diverse range of interaction featuring games with autographed memorabilia prize giveaways, NFL player appearances, live Serious XM Broadcasting, live DJ, and free Chips and Salsa samples. Backbone North America, partnered with New Creatures and Frito Lay, and helped produce this special event. Overcoming the obstacles of building in a city park with limited accessibility for loading and unloading, Backbone facilitated the installation and breakdown of the activation’s site infrastructure to include: Tents, Ground Overlay, Office Containers, Turf Installation, Furniture, Tables and Chairs, and Power. Backbone was also essential in maintaining the day to day operation of the activation by providing technical support for the live show production, logistics management for sample product distribution, and operational security for talent and high profile guests.